My son, David Glasser, was a Phoenix Police Officer who was killed in the line of duty on May 19, 2016. Parts of his funeral are foggy to me and other parts are crystal clear. I will never forget sitting in the front row of the huge church auditorium packed to the rafters with family, friends and police officers and their wives. As I sat there with thousands of people sitting behind me, I felt strong waves of grief rolling over the crowd. That was one of the experiences that helped me understand how many people were affected by Davey’s death. This was much bigger than family and friends and people who knew him. This was my whole big blue family grieving. I had never experienced that amount of serious grief and pain in one room. The speakers at his funeral were awesome and I appreciated everything people shared. I did not expect to be surprised by a few things that people talked about. I knew Davey well and spent a ton of time with him. As his mother, I thought I knew all about him. But two things that were shared were not things I expected. One of them is Davey’s Legacy of Love – he made a big deal out of saying ‘love you’ to his squad members before he left on a call and he would stand there, waiting for them to say it back to them. I knew Davey always said it to me, I just didn’t know that it was the last thing that he said to everyone that he cared about in his life. I didn’t know that he had his whole squad of tough police officers saying it to each other before they left on a call. I also didn’t know at the time of his funeral how Davey’s legacy of love was going to totally change the journey we have been on since that day. Love is the answer. I’ve shared that many times with you and I’ll probably keep saying it until the day I leave this earth for home. The other thing that surprised me was how many of the speakers talked about Davey sharing his faith. I shouldn’t be surprised because he had a very strong faith. I just never heard him sharing his faith with other people so I didn’t realize he talked about God as much as he did. Now I realize that, if he cared about you and he wasn’t sure you believed in Jesus, he would bring it up….often. In fact, he didn’t let the subject die, he kept talking about it. He would challenge his friend’s beliefs and unbelief. How awesome! It’s just another reason why I’m proud of the man Davey was. Davey accepted Jesus as his Savior as a child and continued to grow in his faith through the rest of his life. In this picture, Davey and my husband, Dave, are at a Promise Keeper’s Christian Men’s Rally. Promise Keepers taught men all about living a life of integrity and keeping their promises. Davey learned that lesson very well – those of you who knew him already were aware of that. God provided a great church family for us which was the village that helped grow Davey’s faith. Davey went to church camp and mission trips every year – living out his faith and having a great time doing it. This picture is of one of the groups of kids that went on a church mission trip when Davey was in high school. He is in the back row next to Jay Van Gelder who spoke at his funeral. And Kristen is in the front row. We had no idea that they would marry not too many years after this picture was taken. Davey sets a good role model for those of us who believe. We need to share our faith and what we know to be true – and we need to keep sharing it. And do it all while we love people. The speakers who shared their best stories of who David was and what he meant to them were some of the best people I have ever heard speak at an officer’s funeral. The difference seemed to be that these speakers really knew David. I mean completely knew him and loved him back. 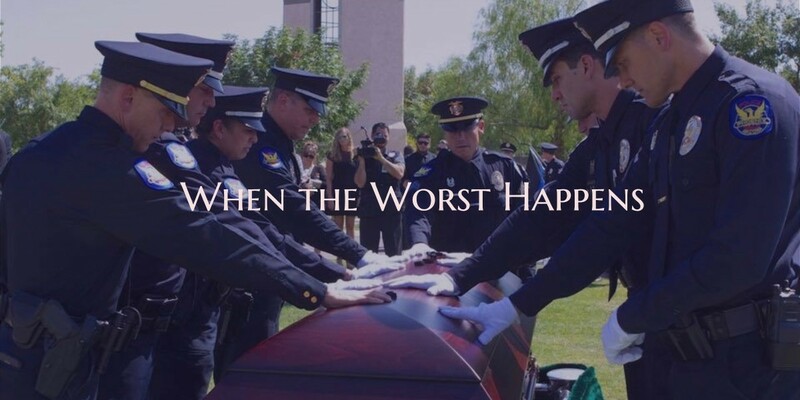 Law enforcement have and will continue to attend offer funerals. But this one was different; you felt it. It was because David made such a positive impact on people. He truly lived what he preached. Wow! Another very powerful message Judy. I love every one of your messages and love to share them with others because his love was and always will be so Great. God bless you and your family with daily loving reminders of Davey and his legacy will never end. Love you.